Indian e-tail major Flipkart announced its tie-up with MakeMyTrip for travel bookings. 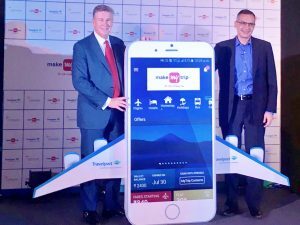 “Through the partnership, users can now make travel bookings through MakeMyTrip’s services using Flipkart’s mobile application,” an official from MakeMyTrip said. The partnership will be rolled out with domestic flight bookings in the next few weeks, followed by hotels, bus and holiday bookings. The companies, however, did not specify the exact time frame for the rollout. 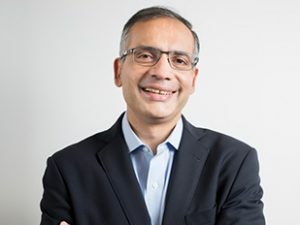 “The partnership will help us reach out to an even wider consumer base through MakeMyTrip’s multiple travel booking sites — MakeMyTrip, Goibibo and redBus — and open up the online travel market significantly,” said Deep Kalra, Founder and Group Chief Executive Officer, MakeMyTrip. The tie-up also helps in furthering Flipkart’s goal of being a “one-stop destination” for all digital transactions, added Kalyan Krishnamurthy, CEO, Flipkart. The companies did not disclose the financial details of the partnership. Founded in 2007, Bengaluru-based e-commerce platform Flipkart claims to have a customer base of over 100 million in the country. MakeMyTrip and InterGlobe Technology Quotient, the official distributor of Travelport in India have forged a strategic alliance that will allow the OTA access into Travelport’s Travel Commerce Platform. Under the agreement, MakeMyTrip can expand the use of Travelport’s technology from the Ibibo Group to their other primary distribution channels starting in the second half of calendar year 2017. Gordon Wilson, Travelport’s President and CEO, commented, “India is a market with enormous growth potential where Travelport, working with our distributor ITQ, has grown in air booking terms by 14 per cent in the first half of 2017 when the GDS air market has grown by 11 per cent. 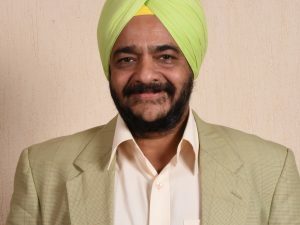 Securing a partnership with the leading online travel agency in the market, with a high growth profile and tremendous track record, gives even further impetus to our plans in the country.” Deep Kalra, Founder, Chairman and Group CEO, MakeMyTrip, added, “This is an exciting time for MakeMyTrip and we are delighted to partner with Travelport and ITQ as part of our growth strategy in the service of the travelling Indian consumer.” Travelport currently boasts a portfolio of approximately 400 airlines, including the merchandised content of over half of these carriers such as fares families and ancillary products (paid seat assignments, baggage fees, priority boarding, etc). MakeMyTrip, along with its other entities Goibibo and redBus receives over 33 million visits via its desktop and mobile-web platforms and serves over 40 million mobile app active users each month. Travel website Ctrip.com has invested $180 million (about Rs. 1,200 crore) in MakeMyTrip. The deal was done in the form of convertible bonds, Ctrip.com said in a statement today. 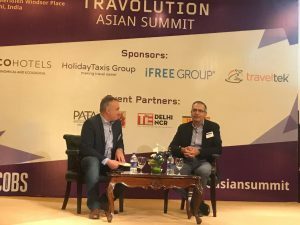 “With the investment, we will have a place in the rising online travel market in India,” said Liang Jianzhang, CEO, Ctrip.com. The partnership will benefit both companies, as there are many similarities between China and India’s online tourism, state-run Xinhua quoted Deep Kalra, CEO, MakeMyTrip. Founded in 2000, MakeMyTrip is the biggest online travel agent in India. Tourism grew by 10 per cent in the country last year, according to research company PhocusWright. Online sales rose 16 per cent last year. Ctrip.com said the move will make it easier for Chinese tourists to visit India. Over 100 million Chinese tourists visited abroad last year spending billions of dollars. The increasing numbers of Chinese tourists abroad made India and number of countries to woo them with easy visa access. India has extended the e-visa scheme to the Chinese tourists.